"Multisensory Feeling Communication in the Hyperconnected Era"
Abstract: This talk outlines new facilities that are arising in the hyperconnected internet era within human media spaces. This allows new embodied interaction between humans, species, and computation both socially and physically, with the aim of novel interactive communication and entertainment. Humans can develop new types of communication environments using all the senses, including touch, taste, and smell, which can increase support for multi-person multi-modal interaction and remote presence. In this talk, we present an alternative ubiquitous computing environment and space based on an integrated design of real and virtual worlds. We discuss some different research prototype systems for interactive communication, culture, and play. Bio: Adrian David Cheok (www.adriancheok.info) is a Full Professor at Keio University, Graduate School of Media Design. He is Founder and Director of the Mixed Reality Lab, Singapore. He was previously Associate Professor in the Department of Electrical and Computer Engineering, National University of Singapore. He has previously worked in real-time systems, soft computing, and embedded computing in Mitsubishi Electric Research Labs, Japan. Amongst numerous high quality academic journals, keynotes, exhibitions, he was featured in worldwide broadcasts on his research such as CNN and Discovery Channel. In addition he was the recipient of numerous prestigious awards and prizes such as the A-STAR Young Scientist of the Year, Hitachi Fellowship, SCS Singapore Young Professional of the Year, Microsoft Research Award in Gaming and Graphics, C4C Children Competition Prize, Integrated Art Competition Prize, Creativity in Action Award, Mindtrek Award, the Keio University Japan Gijyuju-sho award, and was awarded Young Global Leader 2008 by the World Economic Forum. "What Will Virtual Reality Do For Games?" Abstract: In the 1990s, the vision of virtual reality was that in the next generation of human-computer interaction, users would see, hear and touch computer-generated sensory information. It was argued that key to virtual reality was that users were immersed into the virtual world, and that the virtual world surround them. The vision required the use of head-mounted displays or CAVE systems, surround audio and a range of user sensing systems. Needless to say, this vision didn't radically change most users' experience of HCI: the technology was too expensive, too cumbersome and just not easy to access. The use of virtual reality has been confined to a small number of niche high-value applications. Having said that, over the past couple of years, all the component parts for a virtual reality system have become available in consumer form: position tracking technologies, fast stereo projectors, new head-mounted displays, etc. 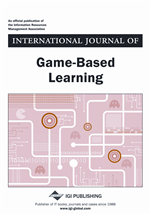 New opportunities for all forms of HCI, including games, will emerge. In this talk I will present an argument for how understanding the impact of immersion can inform the design of content for this upcoming wave of virtual reality systems. I will explain some of the recent advances in our understanding about why virtual reality works, and some interesting system decision choices that we have investigated. Bio: Professor Anthony Steed is Head of the Virtual Environments and Computer Graphics (VECG) group at University College London. The VECG group is the UK's largest group in this area with over forty staff and research students. We also run the UK's EPSRC-funded Engineering Doctorate Centre in Virtual Environments, Imaging and Visualisation which has collaborations with over 50 UK companies that use graphics technologies. Prof. Steed's research interests extend from virtual reality systems, through to mobile mixed-reality systems, and from system development through to measures of user response to virtual content. He has published over 150 papers in the area, and is the main author of the recent book “Networked Graphics: Building Networked Graphics and Networked Games”. "Computational Modelling of Artificial Behaviour: A Perceptual Approach"
Abstract: Models capable of generating effective real-time artificial behaviour are desirable as we seek more convincing artificial companions and adversaries in applications ranging from entertainment to pedagogy. Yet this is an increasingly challenging endeavour as the fidelity of embodiments, whether graphical for virtual agents or physical for robots, continues to advance at a rapid pace and viewer expectations are heightened. In this talk, I consider obstacles related to the definition, selection and validation of computational models aimed at creating convincing behaviour of individuals and crowds of agents. I will focus especially on the role of perception and the human viewer in attempting to overcome these obstacles, not only for validation, but also for providing further insights for modelling efforts. Bio: Christopher Peters is an Associate Professor at the KTH Royal Institute of Technology in Stockholm, Sweden in the High Performance Computing and Visualization Department, where he is a member of the VIC (Visualisation-Interaction-Collaboration) Studio. His research interests include the investigation of interrelationships between computational visual attention, affect, memory, theory of mind and gaze control models for real-time animation, perception of, and multimodal interaction with humanoid characters, groups and crowds. 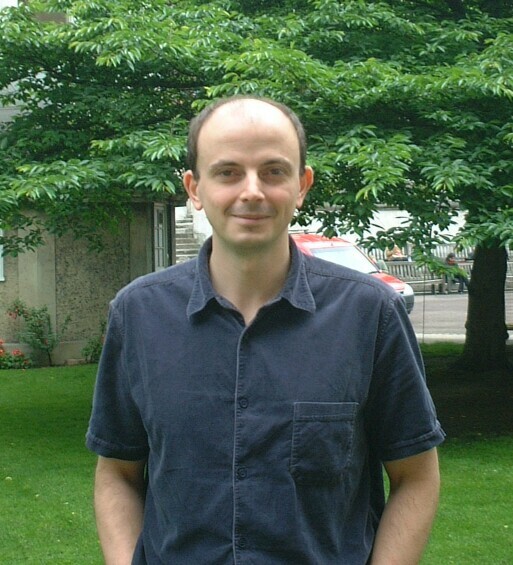 He has published over 75 papers on related themes and is a co-founder of the AFFINE (Affective Interaction in Natural Environments) events that have taken place at various venues, including ACM ICMI and ACM Multimedia.